"Whitney" gives a raw, honest peek into Houston's life. A new documentary titled, "Whitney," is taking viewers inside superstar Whitney Houston's most intimate moments. Pat Houston, Houston's sister-in-law and former manager, is the executive producer of the film. Pat Houston stopped by "Good Morning America" to share never-before-seen footage of "Whitney." "Whitney" gives a raw, honest peek into Whitney Houston's life, in a tale told by the people who were closest to her. "People that have dealt with her emotions from the day she was born until the day she died -- people that were around her...[and] really lived what she lived," Houston's sister-in-law said. The world-renowned songstress died in 2012 at the age of 48 from accidental drowning due to atherosclerotic heart disease and cocaine use. Her untimely passing stunned the music world and her fans across the globe. In one of the most touching moments in the film, Houston improvises a beautiful song to her young daughter, Bobbi Kristina - who at 22 died just three years after her mother. The documentary also dives into the tumultuous marriage between Houston and singer Bobby Brown. 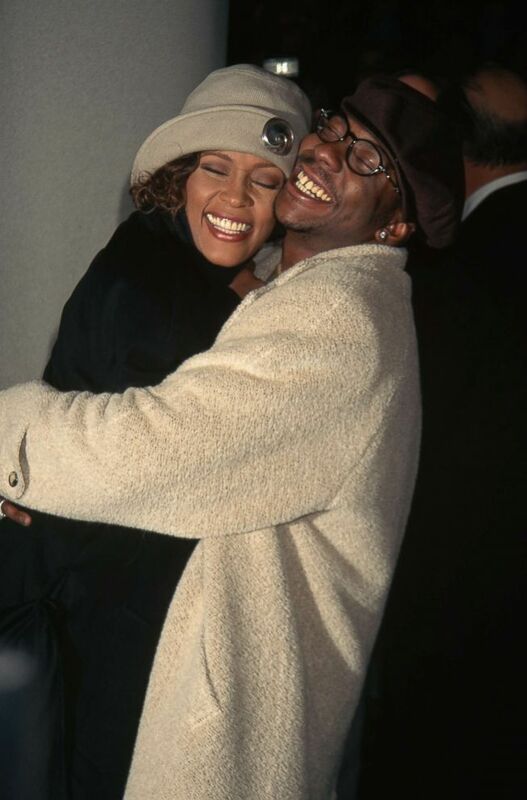 (Mitchell Gerber/Corbis/VCG via Getty Images) Bobby Brown and Whitney Houston hug at the premiere of "Cinderella" at Sony Lincoln Square Theater in New York, Oct. 27, 1997. Family members also shed light on Whitney's cocaine addiction. Brother Gary Garland-Houston admits that he often did drugs with his sister but realized she was in trouble when she began missing shows. Pat Houston said that for her husband, Garland-Houston it was therapeutic to open up about his sister in the documentary. "It was like a pressure cooker opening up," she added. "He just needed to talk and after sharing his sister with the world for over 30 years -- and just having to protect an image -- that moment was his." The late singer is even featured as a narrator in the film. "It's just her life and her story, as the way the family would see it, and the friends who dealt with her every single day," she added. (Jeffrey Mayer/Getty Images, FILE) Whitney Houston and Bobbi Kristina Brown arrive at the Clive Davis And The Recording Academy's 2011 Pre-GRAMMY Gala at The Beverly Hilton hotel, Feb. 12, 2011, in Beverly Hills, Calif. Asked whether she thought Houston's family enabled her addiction, her sister-in-law said there was an element of that amidst a longer-term effort to protect her. "When Whitney became who she became, a superstar and an icon, Whitney wanted her family there," Pat Houston said. "Everybody else to her was a stranger, everybody else had to be hired. Her family didn't. They are going to be there regardless so I can honestly said yeah, we kind of enabled sometimes in certain things. She was a brat sometimes. For me, I called her my bratty little sister." 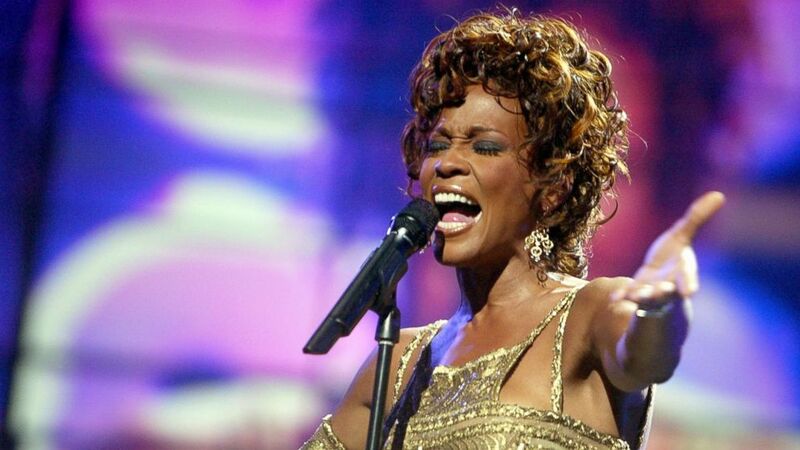 (Kevin Winter/Getty Images, FILE) Whitney Houston is seen performing on stage during the 2004 World Music Awards at the Thomas and Mack Center, Sept. 15, 2004, in Las Vegas, Nevada. Director Kevin Macdonald told "GMA," "I wanted to tell her life story to celebrate her and to try to explain her." "Whitney" hits theaters July 6.